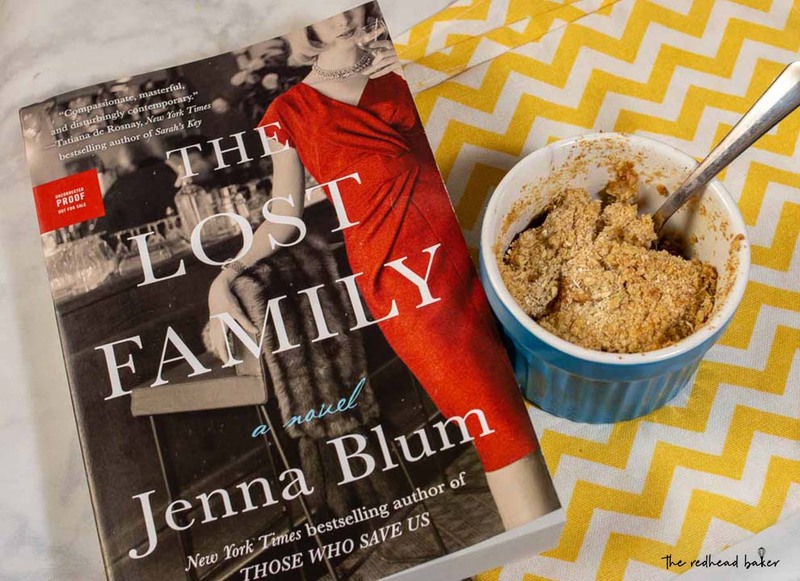 This post is sponsored by #thelostfamilysupperclub – I received a copy of The Lost Family by Jenna Blum in exchange for posting a recipe and sharing my thoughts about the book. 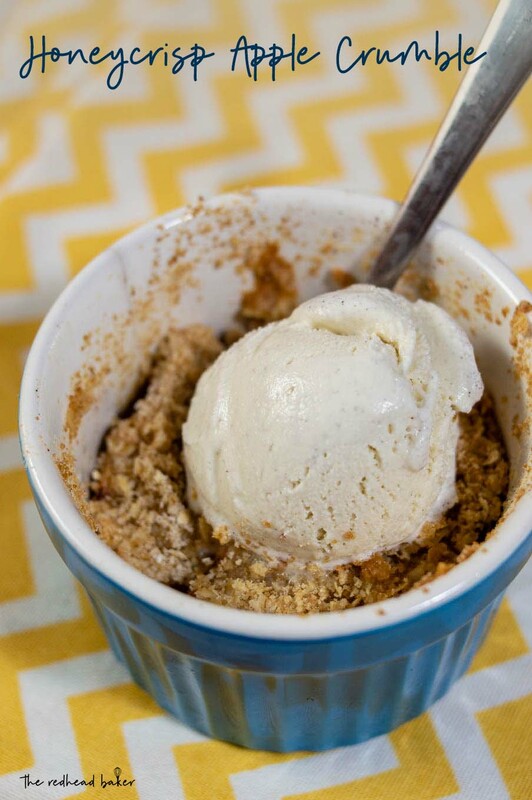 Honeycrisp apple crumble is an easy, delicious dessert. 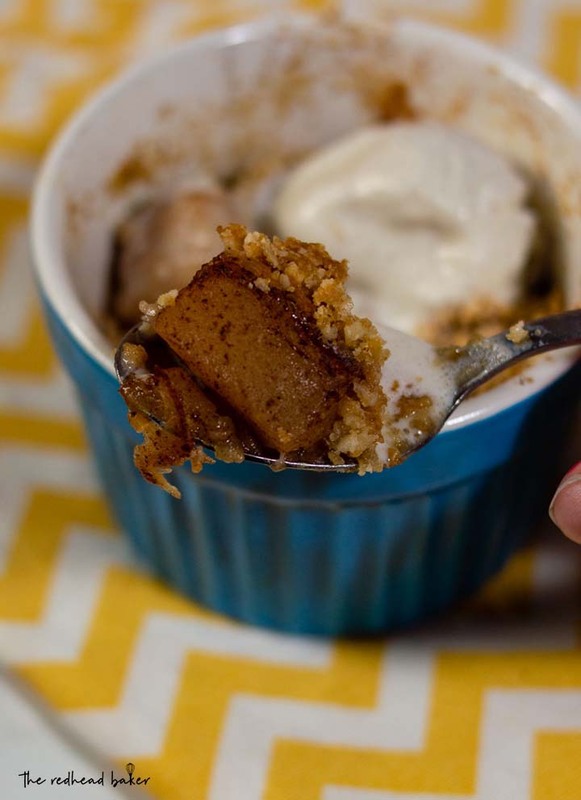 The chopped apples are baked with an oat/brown sugar topping. Add ice cream just before serving, which melts into a creamy sauce. I was not an athletically-inclined child. Hand-eye coordination? I had none. I got my exercise through dance. And when I wasn’t dancing, I had my nose in a book. I read everywhere. At school, at the breakfast table, and in bed when I supposed to be sleeping. I have added more hobbies to my life, but I haven’t lost my love of reading. So when I was asked to join The Lost Family Supper Club, a group of bloggers that would read The Lost Family by Jenna Blum and cook something inspired by the book, well, how could I say no to combining my love of cooking and reading?? An added bonus is that The Lost Family centers one of the most fascinating (to me) time periods in history: World War II. The main character, Peter, is an Auschwitz survivor. He suffers from survivor’s guilt, as he mourns the loss of his wife and children. He runs a restaurant named after his late wife, Masha. Peter doesn’t seem to notice the women that visit his restaurant to try to entice him into a date, that is, until he meets June, with whom he falls in love, marries and has a child, all while still trying to cope with his grief. He uses cooking and his restaurant as a temporary escape. I loved the book, and will be seeking out other titles by the author, Jenna Blum. As a member of the Supper Club, we were asked to share a recipe inspired by the book. I chose one from the menu that appears at the beginning of the book, honeycrisp apple crumble. Apple crumble probably came into existence in the 1920s, and it was quite popular in the time period of the book. I consider it a “comfort food,” one I’d turn to if I were coping with grief. I made mine into individual crumbles, because they bake faster, and it’s slightly easier to prevent myself from eating all six servings by myself, LOL. The book character, Peter, serves the crumble with vanilla ice cream, but I think this would also be delicious with some of the leftover cinnamon ice cream from my oatmeal ice cream sandwiches. Preheat the oven to 375 degrees. 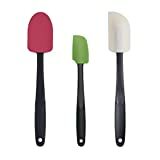 Spray six 4-ounce ramekins with nonstick spray and arrange on a baking sheet. Toss the chopped apples with the lemon juice and cinnamon. Divide between the six ramekins. In a food processor, combine the oats, brown sugar, and flour. Pulse a few times. 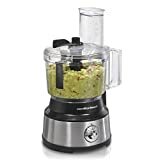 Add the butter to the food processor and pulse until coarse crumbs form. Place 2 to 4 tablespoonfuls of crumb topping on top of each ramekin. Bake for 40 minutes, or until the topping is golden brown. 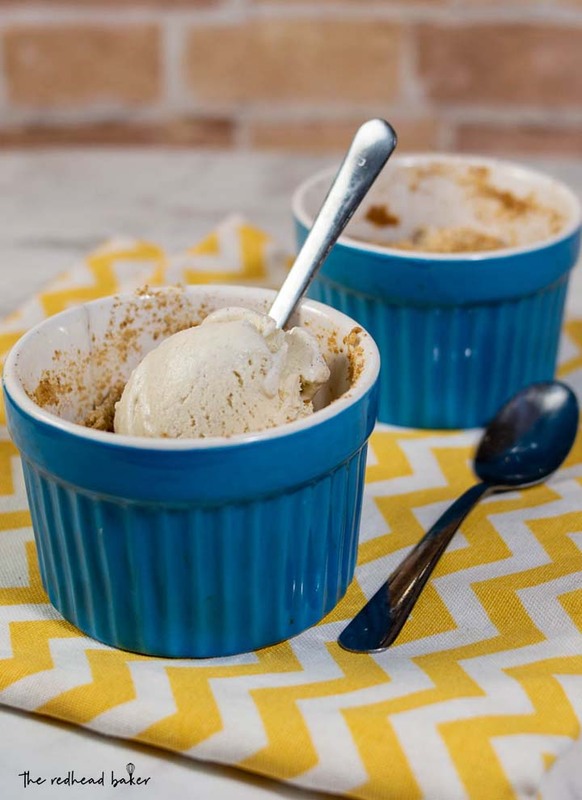 Top each ramekin with 1/4 cup of ice cream and serve. This sounds so good!! It was fun to party with you! 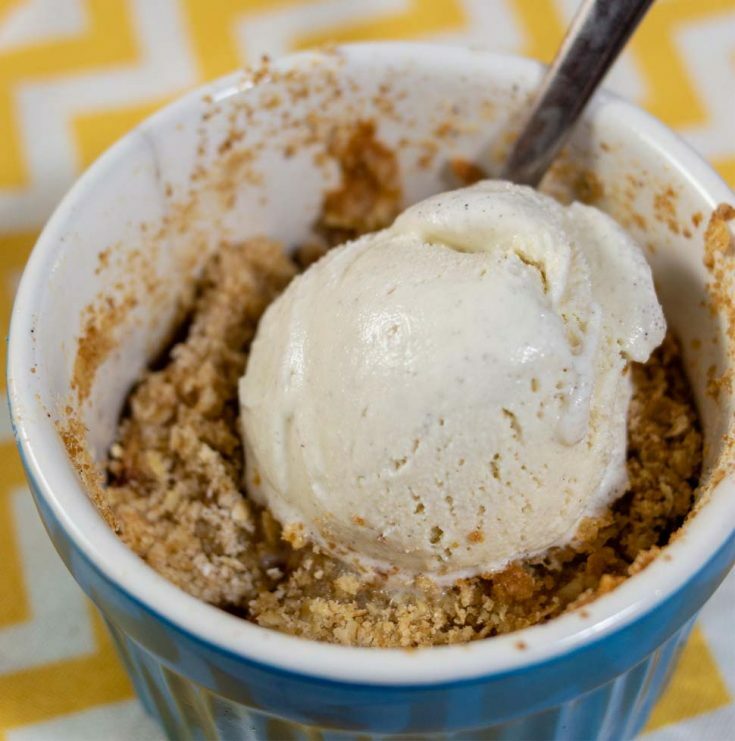 I love fruit crumbles — and any ice cream flavor would work as far as I’m concerned! I love that you made these into individual servings. I will keep this in mind for my next dinner party.